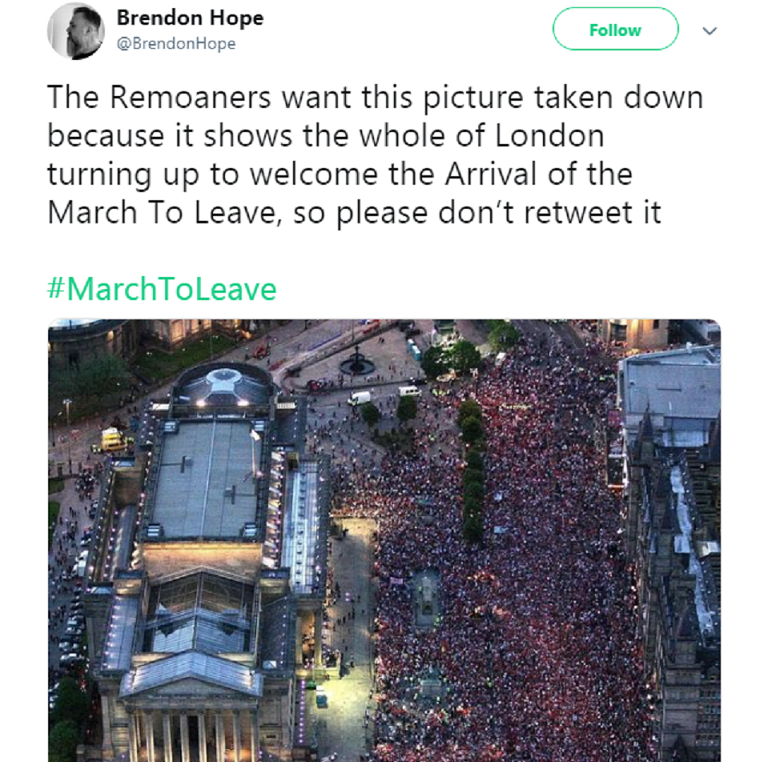 A Brexiteer has posted pictures of Liverpool’s Champions League parade in 2005 in a bid to convince people of the scale of this week’s March to Leave protest. Brendon Hope used a picture taken outside St George’s Hall in Liverpool after The Reds won the prestigious European cup as evidence that “the whole of London turned up to welcome the arrival of the March to Leave”. 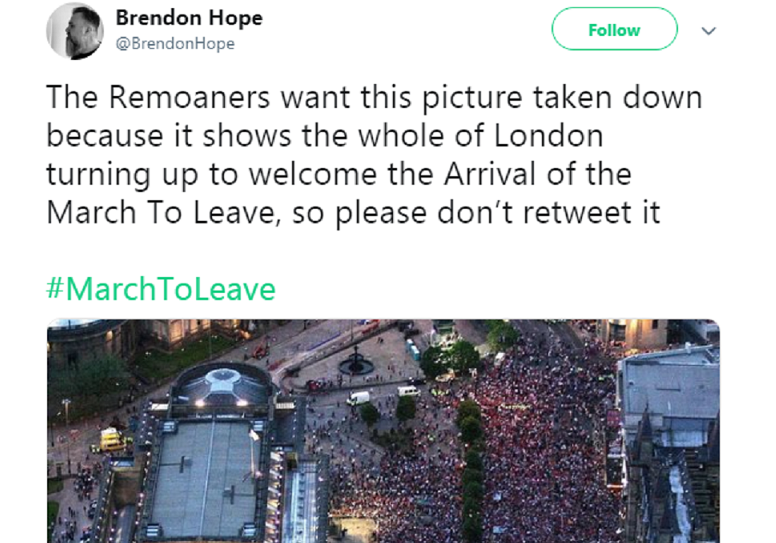 The tweet, which has garnered tens of thousands of interactions, goads users into sharing by saying the “Remoaners want this picture taken down” so “please don’t retweet it”. Despite being called out by numerous Twitter users the tweet still hasn’t been removed by administrators. Indeed, Hope has since posted a sceenshot to safeguard it getting removed. He has also claimed the tweet could be parody, even though there is scant evidence of satirical content elsewhere on his timeline.